It feels like a long time ago that I was spamming everyone on Facebook and asking you to vote for me. At election time, awareness of CUSU increases massively, and you all might wonder what happened to that manifesto. 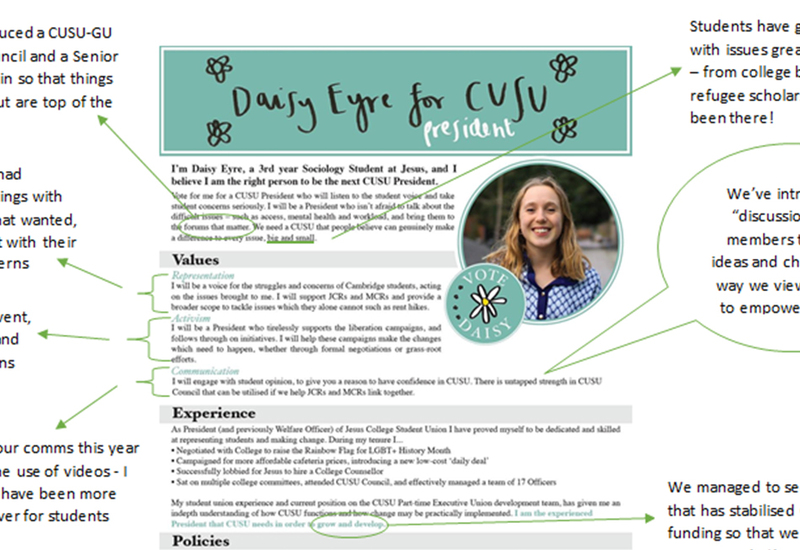 When we write manifestos, it’s really hard to know what the reality of a job in CUSU is like. Most people who run for elected office have big ideas and really hope and believe that they can make a huge change on every issue they care about. If sabbs didn’t come in with that hope, then definitely nothing would get done. That said, this also means that most manifestos are overly ambitious. You can see from my manifesto that I had highlighted huge policy areas – access, workload and mental health. Nearing the end of this year, I would say that we have made a difference in all of those areas, but we certainly havn’t “solved” things and there is still a long way to go. As Lola so often says, Student Union work is legacy work. Another thing is that manifestos tend to focus on the individual, when in fact much of what we do is teamwork. I want to make this clear; none of the wins below have been my own work alone, or ever could have been. 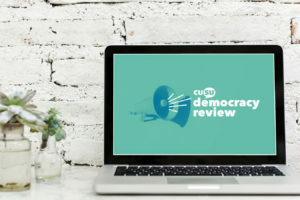 CUSU works fundamentally as a team. Finally, what manifestos cannot manifest are the unpredictable events that take place over the course of the year. For me, work on the strikes, divestment, the living wage and recently on drinking societies has been really unexpected. We have a duty to be led by what students need, so these situational topics are so important, but they do take up a lot of time! That’s why I do think I was right to focus on “values”, which can guide your work throughout the year. I have definitely tried to stick by the values of communication, representation and activism and I hope that our members would say I had. 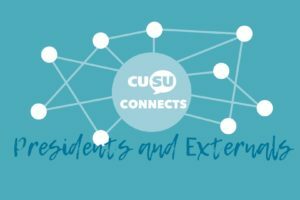 *We’ve introduced a CUSU-GU report to Council and a Senior Tutors’ Bulletin so that things you care about are top of the agenda! *Students have got in touch with issues great and small – from college ballots to refugee scholarships, we’ve been there. Representation: In Lent Term, I had individual meetings with any JCR/MCR that wanted to offer support to their concerns. Activism: Activism on divestment, prevent, the living wage, and of course, pensions has had a huge impact this year. Communication: I’m proud of our comms this year – especially the use of videos – I think that we have been more visible than ever for students. We’ve introduced “discussions” for members to share ideas and changed the way we view “policy” to empower council. *We managed to secure an uplift that has stabilised CUSU’s funding so that we can develop as an organisation. Access: Our big involvement here has been the new bursaries working group and exciting discussions of a foundation year. Mental Health: Maybe my proudest project of the year is on intermission – our intermission socials have been great, and we have influenced the Uni through intermission forum. 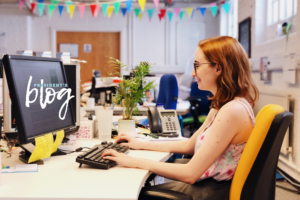 Workload: I’m frustrated not to have done more here, but the uni now has listened and is starting work – good luck to next year’s team in continuing the work!